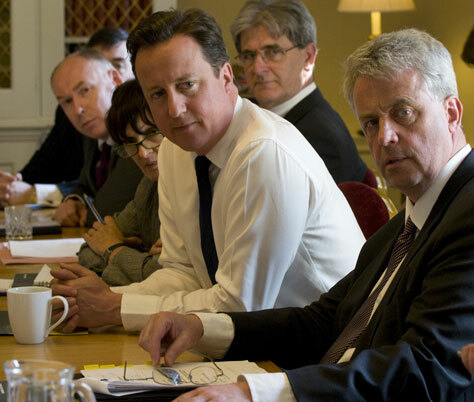 Prime Minister David Cameron and Health Secretary Andrew Lansley have held a roundtable meeting with representatives from the Foundation Trust Network as part of the listening exercise on NHS modernisation. The NHS Future Forum, announced as part of the listening exercise, has also met to begin discussing the questions and opinions that they have already heard. Find out why the UK is involved. Read about energy use at Number 10. Prime Minister David Cameron has sent his “very best wishes” to Jewish communities in Britain and across the world as they celebrate the festival of Pesach. Prime Minister David Cameron has said the UK and Ireland will continue to work “extremely closely” on shared economic and security issues. Prime Minister David Cameron has welcomed the Polish Prime Minister, Donald Tusk, to Downing Street. Prime Minister David Cameron has pledged to leave “no stone unturned” to halt the killing of civilians in Libya. Prime Minister David Cameron has welcomed representatives from the voluntary sector to share their views as part the listening exercise on NHS modernisation. Street League academy students headed for Number 10 to face a grilling from the PM and Downing Street staff. Prime Minister David Cameron has said people planning a Royal Wedding street party should be able to organise their celebrations without any red tape or legislation getting in the way – and urged people to get planning. Disability Challengers – a Surrey based children’s charity offering exciting activities and play opportunities for disabled children and young people – is the latest winner of the Prime Minister’s Big Society Award.